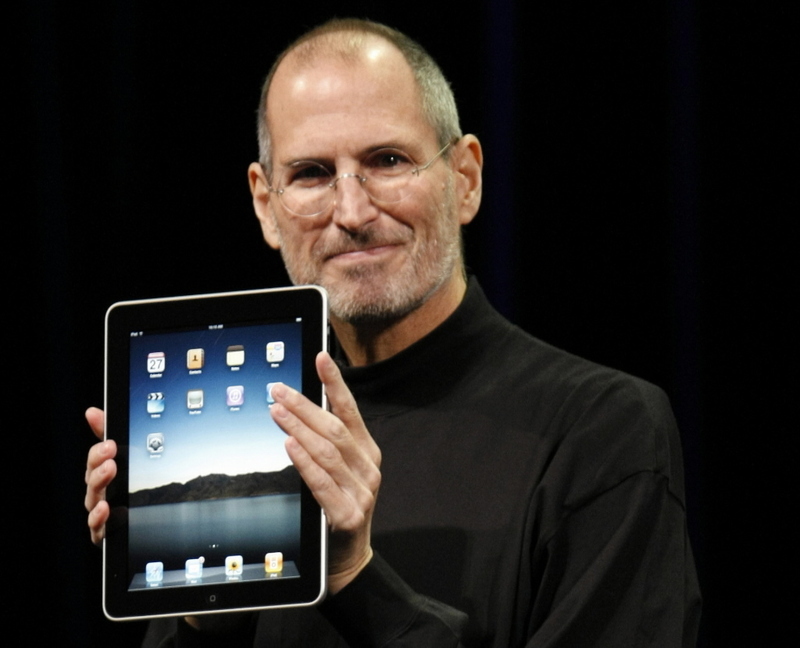 Steve Jobs- A visionary, forefather of the digital age, countless innovations…. Some of the phrases related to the great man who left us for heavenly abode on 5th October 2011. Somehow I feel Steve Paul Jobs is a synonym for innovation. He was some one who went beyond the normal and provided people with luxuries no one would have dreamt off. As he said to a magazine, “A lot of times, people don't know what they want until you show it to them.” That is one of the principles he worked with. He was an innovator par excellence. He bought to the common man products which changed his outlook towards technology. No one would forget the trademark blue jeans and black t-shirt clad product presentations which were a treat to watch. His way of presentation and sense of humour would give an edge to any product. Apple under his leadership has been at the centre of innovation for decades now. 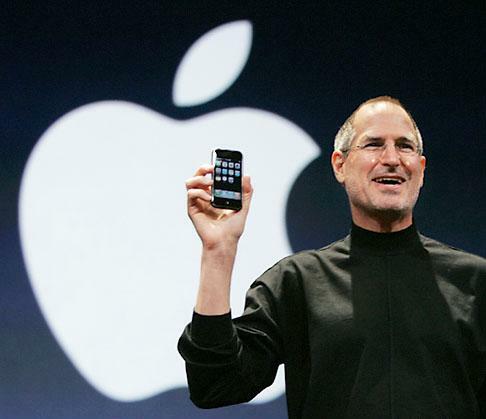 He redefined how we use the mobile phone with the introduction of iphone in 2007. It was not just a phone, it was a phone, a music player and above all a internet communicator. Multi touch was a thing of the future, Apple bought it to us. 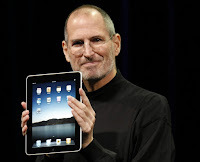 ipad wasn’t a thing which was a necessity but large crowds forming long queues three days prior to the launch of ipad showed that it was nothing short of a rage with the world and it only added to the legacy of this great man leading a great company. Every product coming from the Apple office is keenly awaited and taken up with both hands. The success story started from the family garage and led to the large Silicon Valley office. It would be a fairy tale for many but it was more of a hard working, never give up attitude to a yearning to be the best and providing the customer something that they never imagined would be possible. As Steve Jobs himself said “Innovation distinguishes between a leader and a follower.” He followed the path of innovation and we all know how he redefined the word leadership. 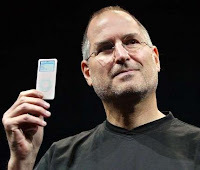 From a marketers point of view Steven Paul Jobs created markets and product categories. He altered the way we consumed products and entertainment. He absolutely changed the perception that technology is complex and for the young. He defied market research, never believed in the normal conventional products, he wanted to be the best, give the best possible product to the customer. These are qualities rarely found in a leader. The Steve Jobs way of working was to take risks, venture into the unknown. Can you think of another person who would have had the vision to take his company into uncharted waters like a mobile phone with no keypad, which no market research had showed any demand for, and then change the world with that? Or who'd have the courage to bet upon and live with one, just one, model to take on the world's phone vendors... and then to edge them out, with the world's most brilliant, and most profitable smart phone? All these things speak volumes of the man’s spirit to be the best and a way to tell the world that he will not settle for anything less than the best. It is also clearly seen with the way he left Apple for almost 12 years before returning with greater vigor and energy. In between he was the leader of Pixar Animation Company involved in producing animation movies like Toy Story (a franchise now) and also a recipient of numerous awards for a number of films. His list of achievements can go on and on. His words of wisdom could make up a book (a sure bestseller), his innovative ideas have changed the world if not generations, he was the face of the most recognizable brand of the world. No words can describe this legendary figure who made the ugly world of technology look good. Surely the great man has left a great void in the world of innovation. You have been a legend, a true role model. Hats off to you Sir. May your soul Rest In Peace. Mobile War - "Apple Vs Android"